Hi guys, so I thought I’d do a little Topshop wishlist type post of some things that have caught my eye online recently. Enjoy. 01. 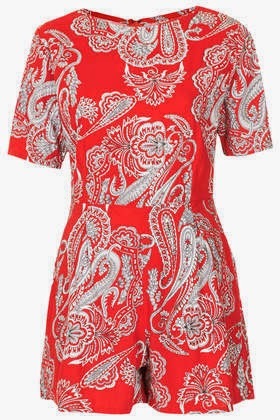 Vienna Jumpsuit by Motel – I think that playsuits are a great alternative to dresses in the summer, I love the colour and pattern on this playsuit. 02. MOTO Tile Print Leigh Jeans – After picking up my first pair of Topshop jeans a few days ago I have fallen in love with the Leigh’s. They’re so comfortable! 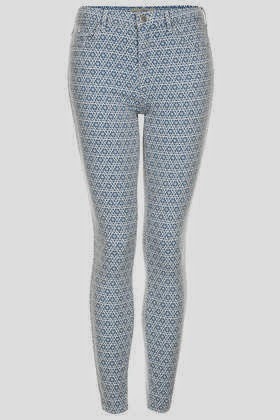 I think that for girls like me that live in jeans all year round a great investment for the summer is patterned jeans. These jeans caught my eye on the website and I think that with a simple strappy top these jeans would be great. 03. 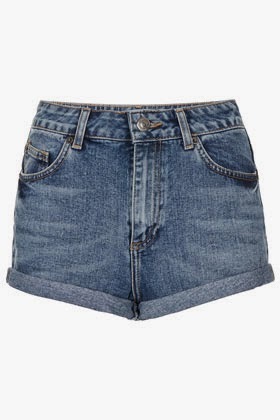 Vintage High Waisted Hotpants – A nice pair of denim jeans are essential for the summer. I like the wash and style of this pair. 04. 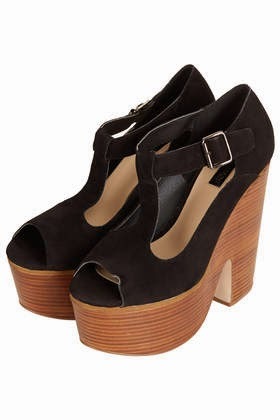 SUNNY Swirly T-Bar Platform Shoes – Not necessarily a summer essential but my Year 13 prom is getting closer and closer and I’ve been eyeing up these shoes. 05. 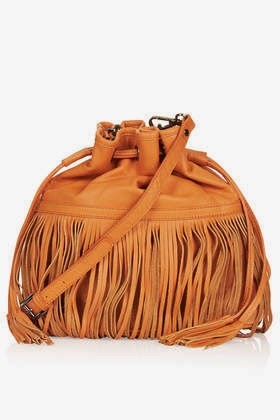 Leather Mix Fringe Duffle Bag – I think that a little tan bag is great for in the summer to just throw your phone, keys and some money in.